This is probably one of the most obvious observation about the Socialist Republic of Vietnam, since I’ve been making numerous references to these problems through many of my posts. However, I will put it all out here and go into deeper detail about how the Communists lied to the Vietnamese people and why the Communist ideology is no better than what you flush down the toilet every morning. What did the Communists promise to the people? Happiness, utopia, a worker’s paradise, that’s what. Well, let’s just look at what life in Vietnam is like, just to be sure if they’ve followed through on any of their promises. One of the key points in Marxist doctrine is the redistribution of wealth and common ownership among the population. I’m not saying that’s the smartest idea, though that was what the people believed in. 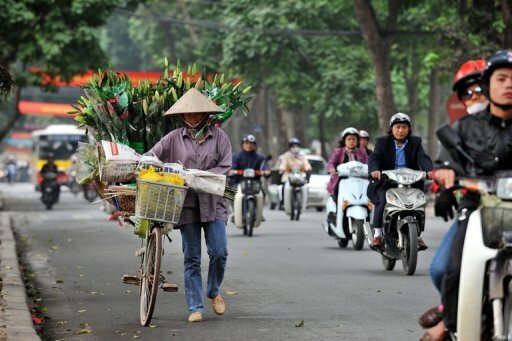 According to Thanh Nien Daily, 38% of people in Hanoi and 59% in Ho Chi Minh City (Saigon) are not covered by Vietnam’s social security system. 27% of young people have not completed high school education, and many teenaged people are not even enrolled in school. The average income per month for a Hanoi resident is about $119 US, while residents in Saigon make approximately $125 US per month. Furthermore, many families living in the countryside do not even have access to clean drinking water or adequate sanitation facilities. Much of the rivers and lakes in the rural areas have been contaminated by pollution from big city factories and government mining projects. The residents of these regions have no choice but to live off of this dirty water. Needless to say, many folks from Vietnam’s rurality have gotten severely ill, even fatally ill, from drinking this contaminated water. 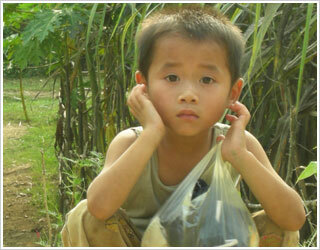 Many who suffer from drinking the spoiled waters are only small children. Extreme poverty in the country, contrasted with the staggering wealth of the Vietnamese Communist Party, and one could see that the Communist ideology as a whole is truly a big pile of garbage. There is no equality in Vietnam, there is little happiness in Vietnam, and there is definitely no worker’s paradise in Vietnam. How can Vietnam be a worker’s paradise when the Party reaps the all the benefits, content with leaving a large part of the population without jobs or homes? It doesn’t matter what they call themselves, Marxists-Leninists, Communists, Reformed Socialists, or even the contradictory title of Red Capitalists. Their names do not matter, but their actions surely do. Everything the Communists have done within the last 35 years have damaged the country in ways that may take decades to recover from. Even if they continue to brainwash the people of Vietnam and terrorize them into believing that they’re living in a worker’s paradise, no amount of terror will ever make it come true. This entry was posted on January 5, 2011 at 2:21 am and is filed under Economics, Politics, Society with tags Corruption, Poverty, Red Capitalism, Socialist Republic of Vietnam, VCP, Vietnamese Communist Party. You can follow any responses to this entry through the RSS 2.0 feed. You can leave a response, or trackback from your own site.